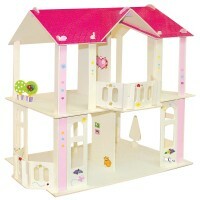 Press-out and slot together wooden plywood shapes that create a pretty doll's house. 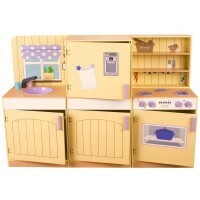 Includes colour..
Every child's dream kitchen in solid wood in a beautifully crafted and painted country design. 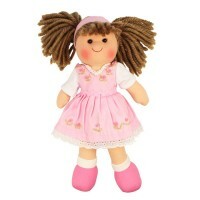 Incl..
Meet Rose - a colourful pretty rag doll, perfect for imaginative play and lots of cuddles! 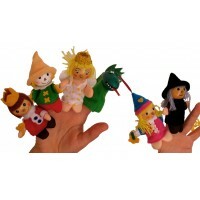 Rose wear..
Set of six fun finger puppets for imaginative play and games with a fairy tale theme. 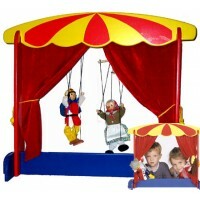 Fully compatib..
See your child`s imagination, language skills and confidence grow with this Puppet Theatre. 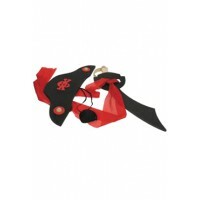 This bri..
A fun red pirate outfit great for dressing up games and parties. 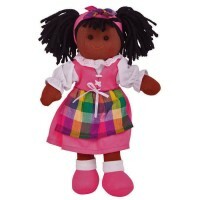 Includes a hat, eye-patch, sash an..
Meet Liza - a colourful traditional doll, perfect for cuddles! 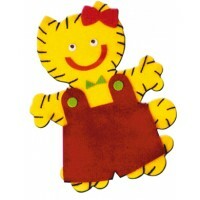 Liza wears a gorgeous outfit in with ..
Make your own hand puppets! 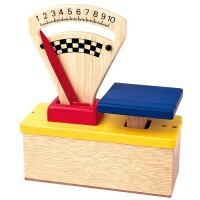 The pre-cut felt pieces are stitched together (with a blunt safety needl..
Introduce the concept of weight with these wooden toy food scales. 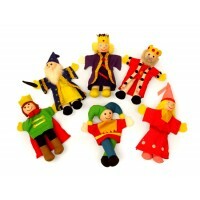 Brightly coloured in red, yellow ..
Set of six finger puppets for imaginative play and games; fully compatible with our table top theatr.. 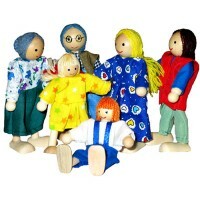 This theatre set will get your child's creative juices flowing and allow for their theatrical talent..
A set of 6 traditional handcrafted wooden dolls, suitable for dolls houses. The Dolls range betwee.. 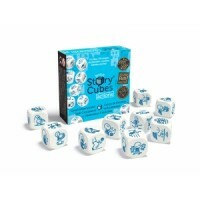 Fantastic stories at your fingertips! 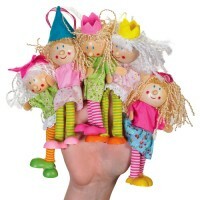 Children (and adults) can create great stories for role play ..
Classic fairy finger puppet with fabric clothes in fun colourful designs and wooden features. 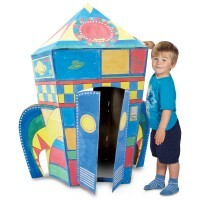 Each p..
A unique playhouse in the design of a rocket - great for all kids who are into space and flying off ..
A unique playhouse that comes flat packed and is ready to be folded and slotted together into a 96.5.. 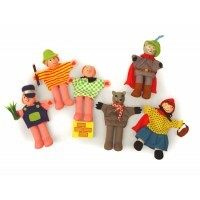 Traditional clown marionette with wooden body parts and bright fabric clothing. This classic toy is .. 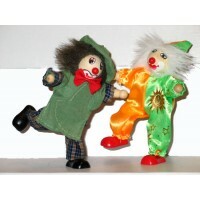 These unique wooden clown dolls (set of 2) will brighten up any child`s doll collection. 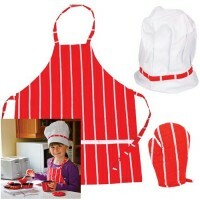 Measuring a..
Young children will love to play at being a master chef in this cute costume of apron, characteristi..
Puppets, dolls and role play break down barriers, helping children to express their thoughts and give them a voice and so are fundamental in child development and education. 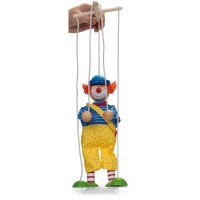 Puppets can become any character within a childs imagination and puppets cross all cultures. 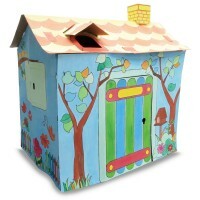 They encourage creative games and are an essential link between learning and play; when children become engaged by a puppet they can learn without even realising. 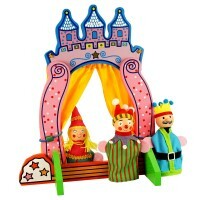 Puppets and role play games are great teaching tools for both the home and in the classroom..